SOUTH CHARLESTON, W.Va. - Beginning in April, for the first time, hunters and trappers will be able to check in their game from their phones or computers. 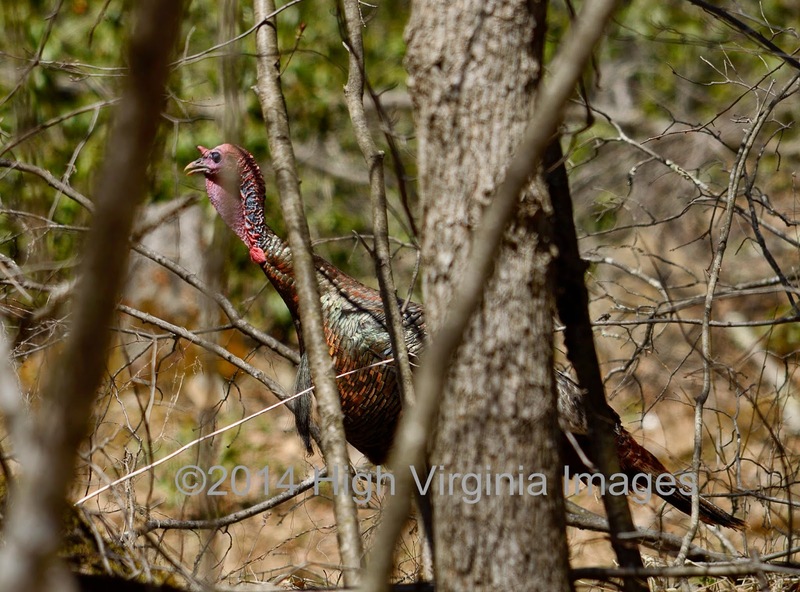 The new system takes effect just in time for the 2015 spring gobbler season, which runs from April 27 through May 23. It also applies to youth hunters during the one-day season April 25. "Those hunters who still like to talk directly to someone about their hunting experiences can stop by one of the approximately 180 official license agents and check in their game," said Division of Natural Resources Director Bob Fala. "However, they no longer have to bring the animal in with them. What doesn't change is that hunters and trappers still have to follow the time, field tagging and transportation restrictions as listed in the regulations." To check game in by phone, hunters and trappers will have to know their unique DNR ID number, which is valid for their lifetime. That number will be printed on the top of the license for those who buy a license each year. Lifetime license holders will need to log in to the system at wvhunt.com to obtain their DNR ID number, which has already been assigned to them. Landowners and those who don't need a license (such as residents under the age of 15, resident hunters who turned 65 before Jan. 1, 2012, and former prisoners of war) can log on to the system and obtain their number. They also can visit a license agent or DNR district office to obtain their number. Hunters and trappers also can check their game in by computer. Those logging in for the first time can set up an account, get their DNR ID number if they don't have it already, and then check in their game. When a hunter or trapper has completed the electronic game check process, they will be assigned a 13-digit number that confirms that the game has been checked in properly. That game check confirmation number must be written down on a field tag or a sheet of paper along with the other information required in the regulations. Electronic game checking will benefit hunters and trappers in several ways. Hunters can hunt later in the day without worrying about driving around to find an open check station. This will also save hunters time, gas and wear-and-tear on their vehicles. If a hunter has cellphone coverage in the woods, he or she can check the game in over the phone and immediately dress and chill their game, helping to preserve the freshness of the meat. Although the main reason for the change in the system is to help hunters, electronic game check also will benefit DNR personnel with their wildlife management duties. Biologists will be able to monitor big game kills each day instead of waiting until they have the time to visit hundreds of check stations throughout the state to pick up check tags. Not having to visit the check stations a minimum of three times a year will save the DNR hundreds of hours of personnel time and thousands of dollars in gasoline. Electronic game check also means DNR personnel won't have to spend hundreds of hours sorting and entering the check tags into the agency's computer system for analysis. From a law enforcement perspective, a Natural Resources Police Officer will be able to see if the person they are talking with has checked in their game. The Electronic Game Check System is designed to be more efficient than the hand-written check tag system and more convenient for all concerned. Similar systems have proven successful and popular in other states. To learn more or to obtain a DNR ID number, visit wvhunt.com or call a DNR office. Things sometimes do change. Usually in a negative way but I see no downside in this. 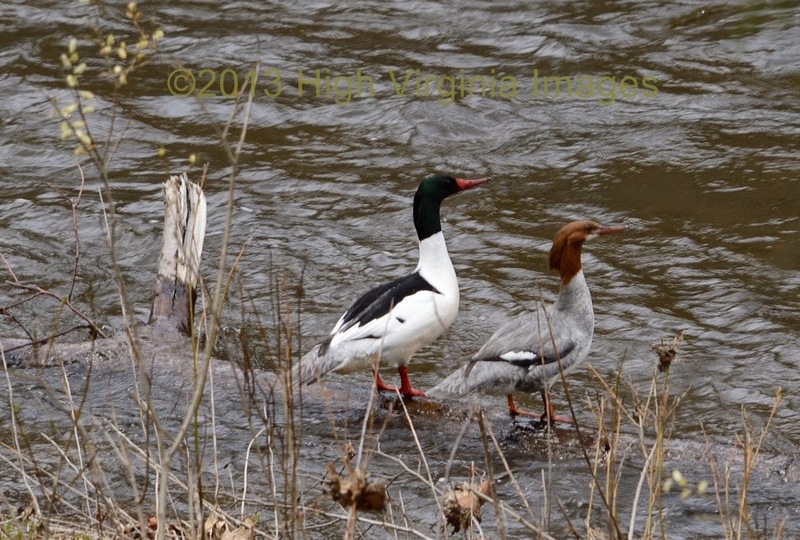 The Common Merganser has become a permanent resident of the Mountain State. Sadly, declines in habitat quality leave us wondering what happened. where did all of the critters go? This single species has apparently taken a liking to West Virginia. The process was gradual, but we now have nesting pairs on several streams and rivers in the mountain region. These large birds now call the Cheat, Greenbrier, Shavers Fork and Dry Fork and many other waterways home. Less than a decade is all that it took for these birds to set up residency Previously, they only nested in the Northern US and most of Canada. Thinking of that, you can readily see why they have chosen to live here. Same weather and less travel time. This species is a tree cavity nester, therefore once they are established in an area; I imagine the only thing that would push them out would be the lack of large trees with cavities to nest in.They may be in trouble in this part of the county; since they do not like to leave any timber standing. But, I'm sure that they will be able to take hold and prosper in other areas of the state. It was early November in 1980; the snow was pouring and fall turkey season was in. It was the perfect combination. I was in Garrett County, MD on a piece of property that had beaver dams and overgrown fields. This was private property and bordered Savage River State Forest. I was in an old field covered with Hawthorne trees a noticed something sticking up from the snow at the base of the biggest tree. Upon further inspection it was a small 8 pt. buck; the deer was partially covered with leaves and other debris. It had puncture wounds in its neck and the left hind-quarter was partially eaten. I will never forget the look of terror in that deer’s’ face. Mouth wide open and bulging eyes; it just wasn't what you would normally see. It is also kind of hard to turkey hunt while you are constantly looking behind you. In November of 1986 several of us were making mid-day short deer drives on Allegheny Mountain. 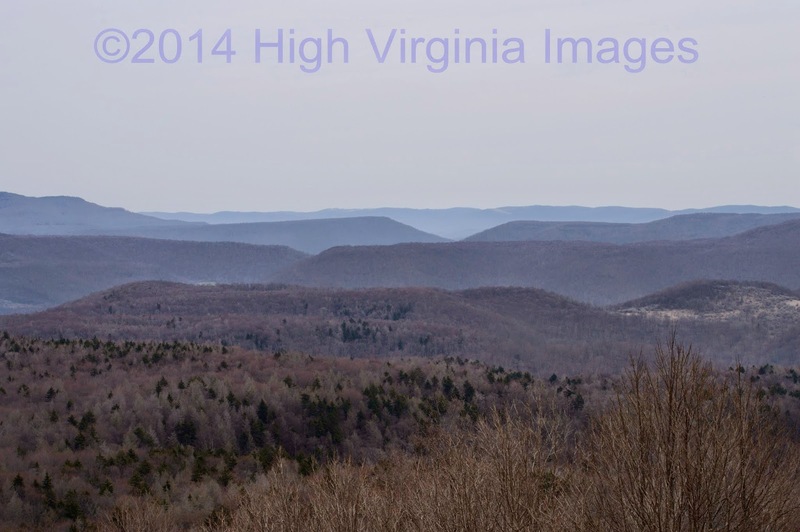 The road on top was the Pocahontas County-Bath County, VA line. We were walking points into Little Back Creek. The weather was miserable with ice forming on your cloths and then sliding off. I had just met up with one of the other drivers and we were discussing the merits of continuing on. We were standing above a laurel covered rock ledge and we both saw something that didn't look like a deer scoot off the rocks. We never thought much about it and went to our predetermined evening stands. Probably mumbling something about being tired of being the dogs. That evening at a cabin on Little Back Creek; one of the older hunters (who is one of the most accomplished hunters WV or VA has ever seen) called us into the other room of the cabin. He asked us if we had seen anything when we crossed the head of such and such hollow. I remember saying that the only thing we saw scooted of a rock ledge while we were talking. He then said “well, you two went and run a little panther right over top of me”. I’ll never forget that one. It was just the way he said it that stuck with me. One week later it was opening day of the WV deer season and I was on Gauley Mountain in Pocahontas County. There was 6 inches of snow on the ground at daylight and I do not believe it stopped all day. I had seen nothing except for a couple of ravens and one set of bear tracks the entire morning. I did a lot of walking and nothing much was going on; except for snow. It was around 2 pm and I can remember eating a half frozen pepperoni roll and staring off the mountain. I was deciding on which ridge would take me to the truck. The snow still hadn't let up and I headed down. I crossed one hollow and was on the next ridge which I thought led down to the truck. I hadn't went a hundred yards down the ridge and there they were 2 big sets of cat tracks walking side by side; complete with tail drag marks in the snow. Headed to Slatyfork. This is my articl for Two-Lane Livin March 2015.